This is a dental malpractice case filed in Howard County on January 13, 2016. It was the 17th malpractice lawsuit filed in Maryland in 2016. The fact pattern in this case is unbelievably common. Here are other similar cases. Here is a very similar lawsuit in Gaithersburg for a dental procedure where there was allegedly unnecessary bleeding an injury because the dentist did not get a full medical history of the patient. Hagerstown dental malpractice case involving wisdom teeth extraction gone awry, causing a nerve injury. This is a dental malpractice case against a dentist and a periodontist. Plaintiff has been a patient of the dentist for over a year. Plaintiff goes to her dentist to have three of her wisdom teeth removed. Her dentist refers Plaintiff to a periodontist for the procedure. In preparing to extract Plaintiff's wisdom teeth, a periodontist sees on an x-ray that one of her wisdom teeth is deeply impacted. 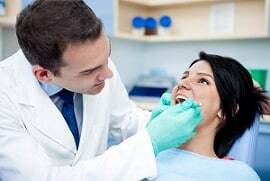 The periodontist does not refer Plaintiff to an oral surgeon, who would have had the education, training, and experience in the extraction of deeply impacted wisdom teeth. The periodontist also does not refer Plaintiff for a CT scan, which would allow a periodontist to visualize the nerves below the tooth so as not to damage them during tooth extraction. The periodontist extracts the tooth himself. In the process of extraction, he traumatizes Plaintiff's lingual nerve. The dentist takes over the post-op treatment of Plaintiff, and does not prescribe steroids or refer Plaintiff to an oral surgeon specializing in nerve repair. Instead, the dentist begins a regimen of laser therapy in an attempt to revitalize the lingual nerve, an off-label and unapproved use of laser therapy. Plaintiff brings a dental malpractice lawsuit in Howard County against his dentist, periodontist, and the dental practice. Plaintiff alleges that dentist violated the standard of care by not referring Plaintiff to an oral surgeon and by not referring Plaintiff for a CT scan. Plaintiff alleges that his periodontist violated the standard of care by administering laser therapy instead of referring Plaintiff to an oral surgeon. Plaintiff claims that as a result of the Defendants' negligence she sustained a nerve injury that keeps part of her mouth and tongue permanently numb and in pain, and that interferes with her ability to taste and enjoy food. There is little dispute that lingual nerve injuries can occur from tooth extractions without breaching the standard of care. These nerve injuries can occur from the local anesthetic needle, the local anesthetic solution toxicity, bruising or stretching of the nerve. The Complaint and expert report say that the lingual nerve was traumatized. If the lingual nerve is severed during a lower wisdom tooth extraction like tooth #32 in this case, the liability case is strong. This is because the periodontist would have to go outside the surgical field to sever a lingual nerve during a lower wisdom tooth extraction. The potential value of the case is going to hinge on the level of Plaintiff's pain. Juries have historically given high damage awards for some loss of taste that comes with this injury. This is particularly true in Howard County which is known as a very conservative jurisdiction in personal injury and medical malpractice cases. Our law firm handles serious injury and wrongful death cases. If you have been a victim of dental malpractice, find out what we can do for you today by calling 800-553-8082 or get a free, no obligation online case review. CALL our lawyers today at 800-553-8082 or get a free online medical malpractice injury and wrongful death claims evaluation. We handle claims throughout the entire state of Maryland.